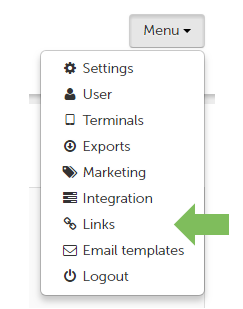 Click on “Menu” and then choose “Links” from the drop-down list. Then just give it a name, select the correct survey and click “Add”. You can also add a note stating the purpose of your link for internal purposes such as “Link will be printed on flyer”. The link is displayed in your overview below the window. You can also use the QR code, which is generated in different file formats, for each link you create.